Discussion in 'GBAtemp & Scene News' started by FAST6191, Jun 10, 2013. Presentation is over and the preliminary Ubisoft writeup is done. Once more into the breach and all that. E3 continues with the big presentations and this time it is the turn of Ubisoft to attempt to wow us. Nintendo have a Nintendo Direct tomorrow but in terms of presentations it is just Ubisoft and Sony left now (Our e3 schedule thread); Microsoft and E.A. have already gone, each have released information on a handful of nice games but mostly were greeted with a resounding "meh". Of course meh is probably better than the negativity, even if MS really needed to hit it out of the park to distract from things, so on we plod. These non hardware presentations are worth watching as they typically have more time to go in depth on the games that might only get a quick look in as the hardware makers aim to cram in as much as they can. 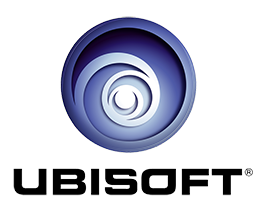 Ubisoft has not really featured in Microsoft's presentation thus far and it has a few games in development that were otherwise showcased in early form last year. Predictions and bets on the failed attempted at humour are being accepted. The game of Buzzword bingo gets reset for the new presentation as well. Do feel free to join us on IRC where we will be discussing such things live. One of the few companies that do not make hardware that can punch at EA's level. Whether EA or Ubisoft are the present villain of the week reminds us of the old quantum thought experiment "Schrödinger's cat" but like their rival they do a lot of things in the games world. For those that need a rundown they work with Tom Clancy (Splinter Cell, Rainbow 6, H.A.W.X and Ghost recon), have Assassin's Creed, largely could be said to have won the "most interesting game of E3" last year with Watch Dogs and they have Rayman (something nipping at the heels of Mario and even surpassing some efforts there) so they are definitely worth paying attention to. Anything about Watch Dogs will be studied in minute detail but with Assassin's creed having a reception less favourable than the previous entries and Splinter Cell showing some fairly radical changes there are some things to watch. The PS4 conference was a thing that happened back in February and not a great deal has happened since. We now see it to have fairly similar architectures to the Xbone (which is to say somewhat tweaked PC architecture) which is interesting as the Sony online offerings are slowly catching up to Microsoft's, indeed in some ways with their paid offerings it eclipses what Microsoft have done, and this last go around with the consoles led to the PS360 being a thing; there were still a handful of exclusives but take off things that got sequels (spiritual or otherwise), equivalent franchises or eventual ports/remakes and the respective libraries were very similar, extremely so compared to previous consoles. To this end many reckon Sony could "win" by default if they just turn up, say "we have some games", show they are not Microsoft and go home. The shape of the PS4 console is set to be unveiled but if the colour or shape of the console is something you get excited about, assuming it functions as it needs to and does not have wired controller ports at the back or something, then you might be setting about this game playing thing wrongly. The PS Vita is floundering a bit as well but an injection of a few games, something which the last few months do show as quite likely to happen, would probably see that do well. Nintendo are not having a big presentation like years past and instead have "Nintendo directs" timed to match up with this and the fairly interesting move of games being playable in various shops during E3. This is seen as a somewhat interesting move by many as the Wii U and 3ds are not doing as well as their predecessors (both Ubisoft and EA have potentially done some disservices in recent months though Ubisoft have said they are committed). In the case of the Wii U not many first and second party games, what many see as the reason to get such a console and the business types observe as the reason Nintendo are still around, have been released or announced and many are anticipating good things here. In many ways it seems gameplay was a dirty word in the Ubisoft presentation, that or the CGI crew has a family pet held for ransom. If we are less lazy we might cut out the CGI sections of the presentation and it will likely be about half the time. Probably the most awkward of the presentations thus but far from the lows of years past. Might as well tackle the next gen segment first. It ended the show (with the Tom Clancy bit being revealed right at the end) and was clearly aimed at revisting the watch dogs magic. The setting was an interesting one and seemed to aim for the “the immediate days after society breaks down” in a multiplayer (sadly this probably does mean online). Somewhat interactable game world (if you see the footage see the shooting damage to the cars) though demo footage is always a tough call here as to what is partially scripted/set piece and what is actual physics. Early 2014 – lots of CGI to start as with pretty much all the games. Driving games are in this year. This one aims to be a co-op affair in that you get to make your own crew and do races/takedowns and whatnot. Kind of similar to the things already seen but for those that want it, interestingly it has a three way split between offroad, street racing and slightly heavier vehicles. Nothing much as far as we could see, nice CGI though. Pirates are in for the next Assassin's Creed game. New character by the looks of things and that is about it really as again it was more CGI. Proper footage we will have to wait for before making calls. All platforms. You can dance to a game, fortunately we were spared as stage presentation. Rabbids invasion. Film and TV show starring the rabbids but with kinect minigames. Oh and Trials fusion is out for the new consoles and trials frontier on mobile devices. Jerry Cantrell was the one to open the show actually and he demoed the session mode (one apparently where the band will play along with you). Either way it seems music games are not dead yet. Seemed somewhat action heavy and several missions had you with a partner. For some reason the trailer was not broadcast in full screen so not an awful lot could be gleaned. Competitive multiplayer for those that want it. Otherwise it seemed to be much of the same as that which made Rayman rise as far as it did these last few years. The mighty quest for epic loot. Going for another 3d tower defence. It is not lightly we say there was maybe the barest hint of the same feelings we got in Dungeon keeper when the CGI was playing. South park stick of truth. Sadly Messrs Parker and Stone were not back to lighten up the proceedings but it seems the game survived the gall of THQ and is out “holiday season”. Most of that is pretty sweet. But yeah, all CGI, says a bit about the gameplay though. It'll rock, looking forward to it! GBAtemp ponders E3 2013 -- Sony.